The new year is here, and most cabin owners are already counting the days until it's lake season once more. For those of us without an idyllic getaway on Lake of the Woods, our crew has been working nonstop on a beautiful, brand new cabin that should be fully operational by Spring 2019. Like other projects done in the beach house style, the Longbow project has a light, airy aesthetic with a distinct retro nod. 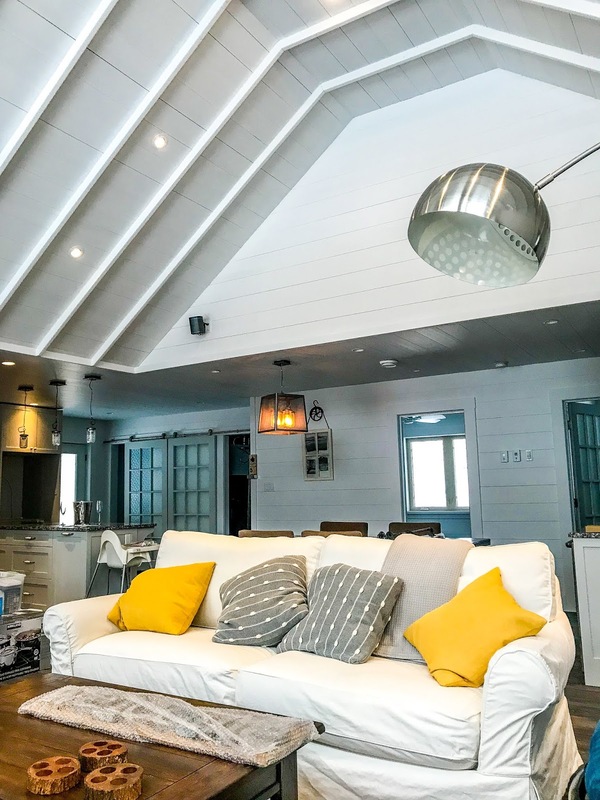 Unlike most other beach houses, however, the Longbow cabin boasts a massive master bedroom, three fireplaces, and a massive, two-storey vaulted ceiling, among countless other high-end details. Stay tuned for updates as this one of a kind project gets closer to completion!